Although it’s not our place to steal our customers’ thunder by announcing new products at InfoComm, we are extremely bullish on the category based upon primary market research from PMA and Futuresource, as well as our customers’ competitive intelligence. 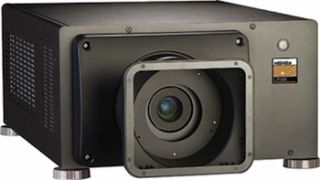 DLP anticipates more end users will be choosing its solid-state illumination models, like Digital Projection’s three-chip DLP solid-state HIGHlite LASER WUXGA 3D projector, which will be on display at InfoComm. As we saw earlier this year at ISE, there will certainly be a spotlight on 4K in the pro AV market. Like many industry experts, we predict 4K, or near-4K, home cinema projectors with DLP technology will be introduced in the future as 4K TVs become affordable and more content is created. However, the large-venue market is quickly converting to the 4K projection offered by several DLP customers. With the high-switching speed of the DLP chip, our customers can offer the advantage of projecting 4K content at high frame rates, often necessary in simulation, theme parks, and industrial applications. It’s interesting to see how the industry is changing, not only in the home cinema market, but also in the education and business markets. We are seeing a shift from SVGA and XGA to higher resolution, including economical 1080p and widescreen presentations in the education and business products market due to the importance of being able to clearly read text and graphs. In addition, short throw and ultra short throw projectors with interactivity are gaining popularity. We’re certain you’ll see a large selection of short-throw and ultra-short- throw projectors with DLP technology at InfoComm. One of the biggest changes in the market is solid-state illumination, or lamp free projection. Although there are already over 70 lamp-free DLP projectors in the marketplace, the full conversion from lamp-based systems to solid-state illumination is unavoidable for many countries due to the introduction of green laws. In addition, the potential of lowering the cost of ownership will ultimately drive end users to choose DLP solid-state illumination models. Finally, we predict the momentum started in the fourth quarter 2013 and continued in the first quarter of 2014 will lead to a better than predicted year as sales of projectors look strong for the remainder of the year. Since the projector market is stronger than ever, we are committed to working with our customers to continue innovating new technologies that will meet the changing demands of the marketplace. Tony Adamson is worldwide strategic program manager for DLP Cinema and front-projection products.